The USDA has announced a $200 million award to 57 different organizations through its Agricultural Trade Promotion Program to help the nation’s agriculture community identify and access new export markets. Among the beneficiaries is the Florida Department of Citrus, which is set to receive $550,000 in funding to promote citrus in various new markets. “We’re thrilled the USDA has provided this opportunity for Florida’s citrus growers to market their crops and increase our state’s agricultural exports by opening new markets,” remarked Florida Commissioner of Agriculture Nikki Fried in a prepared news release. Mike Sparks, Executive VP and CEO of Florida Citrus Mutual, echoed Fried’s comments. 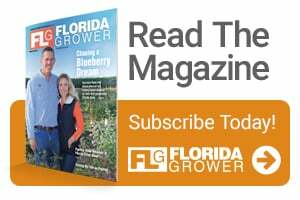 The awarded funds also provide the potential for a variety of Florida’s producers to draw down money through several national organizations who received awards directly from the USDA. Click here for the entire list of USDA’s Agricultural Trade Promotion Program recipients. What’s Going on with the Farm Bill?